Yes, the narrative of Joe Mauer’s career was missing a championship chapter. That plotline stalled for a few years while the star was set back by injuries. Still, this story of the Minnesota native with the smooth left-handed swing who played for the Twins the entire time sure was made for a movie. Six weeks after Mauer symbolically donned his catcher’s gear for one last crouch behind the plate in the final inning of the season , Mauer formalized his goodbye to the game at a tear-filled-yet-cheerful news conference to wrap up a 15-year major league career at age 35. Even the closing credits were memorable. Mauer carefully flipped through a stack of note cards over a 15-minute thank-you on Monday to the people he’s closest to with a stack of tissues in front of him on the podium. He needed them immediately, when the mention of his parents, Jake and Teresa, caused his eyes to water and his voice to waver. ”You helped keep me grounded and never let me forget my roots,” said Mauer, who began honing his skills at the sandlots and rec centers of St. Paul, less than 10 miles from the big league ballparks in Minneapolis he first began playing in at age 20 to open the 2004 seasons. That’s the same city where Hall of Fame members Jack Morris, Paul Molitor and Dave Winfield were raised. Mauer’s final tally of 2,123 hits might ultimately leave him short of the call to Cooperstown, but he was clearly on that track over the first 10 years of his career considering he hit .323 with an .873 on-base-plus-slugging percentage until a concussion in 2013 forced him to move out from behind the plate and become a first baseman. Mauer is the only American League catcher to win a batting title, a feat he accomplished three times: 2006, 2008 and 2009. The latest concussion in May that kept him out for a month, Mauer said, caused him to seriously consider retiring for the first time. The expiration of his eight-year, $184 million contract in October created a natural parting, but the long-term effect of head injuries and his dedication to family weighed much heavier than an MLB-best .407 batting average this year with runners in scoring position. The respect for Mauer was evident with the appearance of former Twins managers Molitor, Ron Gardenhire and Tom Kelly and ex-general managers Terry Ryan and Bill Smith. Molitor was fired last month and replaced by Rocco Baldelli, who also showed up. So did Mauer’s former teammates Glen Perkins, Justin Morneau and Corey Koskie. His coach at Cretin-Derham Hall High School, Jim O’Neill, who taught him to never swing at the first pitch, was there. 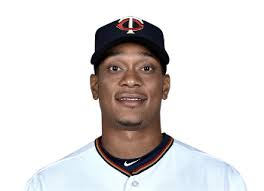 His maternal grandparents, who attended all but about a dozen of his home games with the Twins, a staggering total of approximately 1,200, attended as well. With his wife, Maddie, due any day with the couple’s third child, Mauer’s focus for now will be on husband and father rather than fielding and hitting. He said he’ll stay connected to his hometown team in some capacity and will, in case there were any question, raise his kids in Minnesota. 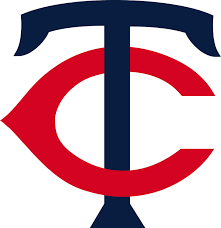 Ryan sat in the front row of the packed room in the basement of Target Field as Mauer expressed his gratitude for the decision to draft him in 2001 with the first overall pick instead of Mark Prior or Mark Teixeira. ”There were a lot of great options out there, but I’m so thankful you had the confidence in me, and it means more to me than you’ll ever know,” Mauer said. Making so much money and missing so many games soured the cynical portions of the fan base on Mauer, but even if he had stayed healthy like Cal Ripken Jr. and hit home runs like Harmon Killebrew he would have carried immense pressure playing in his home territory. ”I knew what it was like for me, and it was times 100 for him,” said Perkins, another Minnesota native who spent his whole career with the Twins. In the end, Mauer’s maturity and poise stuck with his admirers as much as his keen eye and textbook swing. Morneau, who was Mauer’s closest friend on the Twins during the 10 seasons they played together, recalled hitting a home run during an afternoon game in 2006 while playing with a bit of a hangover from an outing at a St. Paul bar the night before. Mauer wasn’t so impressed. Morneau went on to the AL MVP award that year. Mauer won it three seasons later.